A gap wedge, with a loft of 50 to 54 degrees, will hit a ball farther than a sand wedge and shorter than a pitching wedge. How did the gap wedge get its name? Very simply, it is a club that will go further than your sand wedge, but will result in a shorter shot hit with your pitching wedge. Thus, it fills the gap between the two clubs. If you know the lofts of your pitching and sand wedges, you should purchase a gap wedge that is has a loft in between. Gap wedges range from 50 to 54 degrees, while most pitching wedges made since 1990 have a loft of about 46 degrees. As a general rule, men can hit a gap wedge about 100 yards, and women about 15 yards less. Here are some ways that you can practice using your new iron and add to your repertoire. Find out how far you can hit your gap wedge in relation to your other two wedges, taking a comfortable swing. Start with your pitching wedge and hit 12 balls. Then, assuming that you have a stride of about a yard, walk off the yardage to a point where most of the balls have landed. Also note the height that each ball travels. Do the same thing with your gap and sand wedges. At the conclusion of this drill, you should have some idea about how far you can hit each club. Do the same drill again, but make changes to to where you position the golf ball. Hit 12 balls with your gap wedge and place them across from the insole of your front foot, then 12 more balls that you hit from the back of your trailing foot. You will notice a difference in the height of your shots as well as the amount of backspin you can put on the ball. Do the same for your other two wedges. Finally, hit your gap wedge with a half-swing, one where your arms do not pass parallel with the ground. This drill will help you visualize the conditions under which it will be useful. Also, it will help you play the golf course, not the other way around. 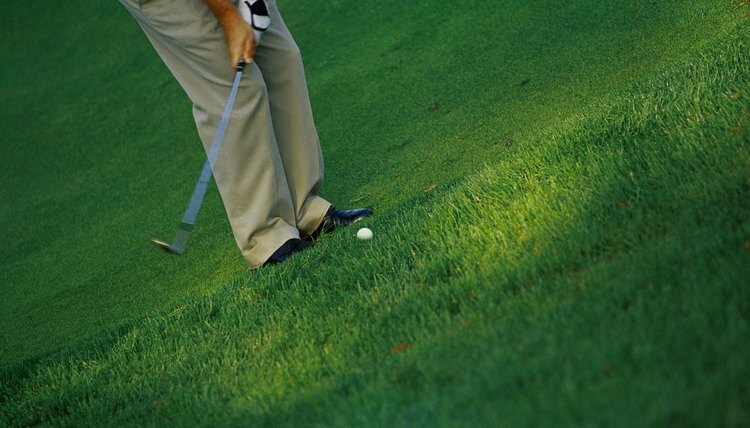 Learn that practice on a range is never a substitute for playing a golf course. First, many driving ranges don't allow you to hit off the turf, relegating you to a life of practicing off of mats. Also, while you will develop some proficiencies by practicing under those conditions, you will not be called on to show as much imagination as you will on a golf course. You now have the equipment necessary to become a better golfer. It just will take time.